Use Exult for various enhancements. Run in DOSBox or Exult. Includes the Forge of Virtue addon and Ultima VII Part Two. Pre-packaged with DOSBox. The manual is needed to answer copy protection questions (see answers.pdf for the GOG.com version). The Version 3.4 Patch updates the English floppy version of the game. CD-ROM and digital versions are already patched. 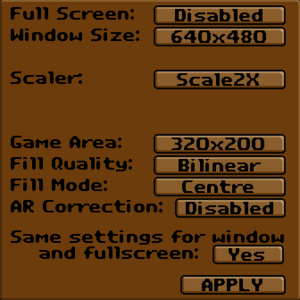 Use Exult to play in higher resolution, add new features, use mods, etc. Download and install the latest Windows snapshot. The installer will prompt for the installation folders; for the GOG.com version these are ULTIMA7 for The Black Gate and SERPENT for Serpent Isle. Optionally, install the All-In-One Audio Data for enhanced sounds and music. Run Exult from the Start screen/Start menu and both games will now be playable. Download and install the latest OS X snapshot. Go to the game installation folder and copy the data files. For retail versions this will be wherever you installed it to. Make a folder called Exult (confirm with your password if prompted). Paste the Black Gate and Serpent Isle folders here. Run Exult from Applications and both games will now be playable. Use Exult (set in Misc Options). Saves are GAME**.U7; DOS settings are stored in the save file rather than shared. Exult saves and settings are in %LOCALAPPDATA%\Exult on Windows, ~/Library/Application Support/Exult on OS X, ~/.exult on Linux. 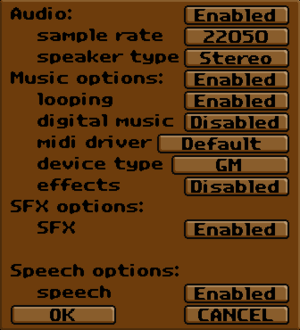 Toggle with Alt+↵ Enter (when using Exult or DOSBox). Exult has choice of 2, 4, 5, 6, 8, or 10 FPS. Determines game speed. Use Exult (see Exult keys). Everything is text-based; some minor voices are not subtitled. Chinese, Polish and Korean retail versions only have the manuals translated; the game itself is still in English. French retail only. Not available digitally. 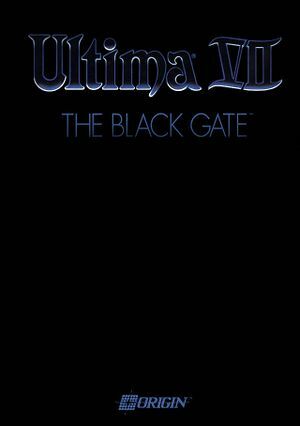 1) Use Перевод Ultima 7: The Black Gate (requires Exult). Spanish retail only. A partial unofficial translation also exists.